Look, a wedding is (hopefully) a once-in-a-lifetime experience, and an important one at that. So to celebrate your eternal love for your significant other, do whatever the heck you want. I'm not judging. But I will point out how, um, unusual some of the choices two newlywed Philly couples have made to mark the special occasion. 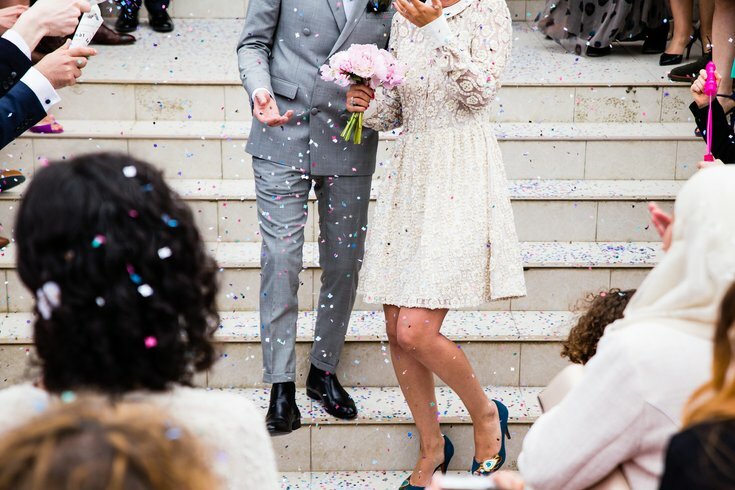 First, as recently highlighted by PhillyMag's wedding blog, there's Kimberly and Mitchell Leff, who tied the knot this past spring at the The Please Touch Museum in Fairmount Park. 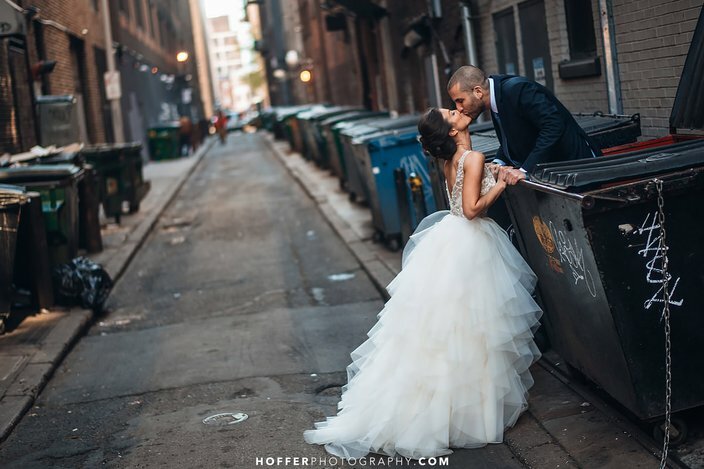 They hired Hoffer Photography to do their wedding photos, which included a shot next to – I kid you not – a dumpster in a Philly alleyway. Kimberly and Mitchell Leff pose for a wedding photo next to a dumpster in Philly. Then, there's Falynn Koch and her groom Tucker Waugh. The Old City couple was recently profiled by BillyPenn for their wedding cake, which was made with macaroni and cheese.